Given the increasing centrality of issues of gender and sexuality in public conversation and legal statutes, a psychological research agenda that honors the lively and destabilizing intersectionalities, social movements and theoretical directions that constitute LGBTQ studies is needed now more than ever. 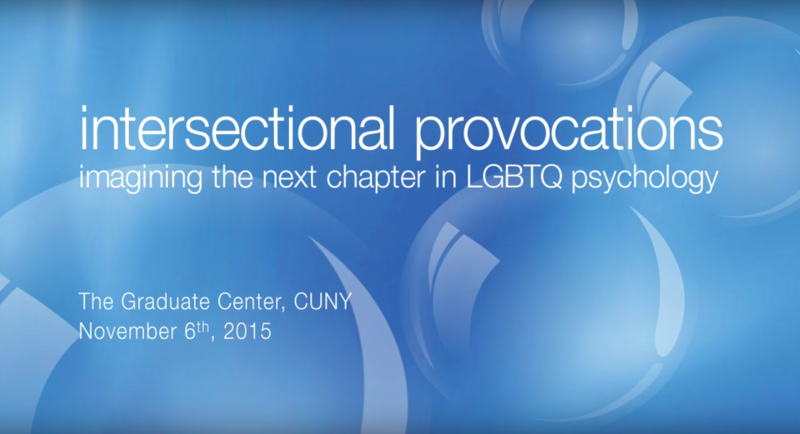 On November 6th, 2015, the Center for LGBTQ Studies, Critical Psychology and The Public Science Project at the Graduate Center CUNY brought together some of the best minds in LGBTQ psychology to craft such an agenda. Diverging from traditional conference formats, this conference consisted of a daylong small working group, structured by a series of short, provocative papers (approximately 10 minutes) that invite challenging conversations about the current state of LGBTQ psychology and radical new visions at the intersection of scholarship, law and activism.